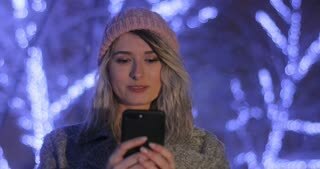 A relaxed young woman uses a mobile phone in a city park at sunset. A young woman relaxes on a bridge in a city park and uses a mobile phone. 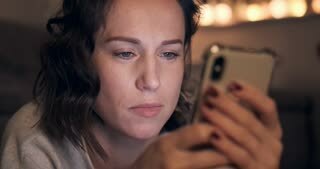 Woman using app on smartphone in the city at night, smiling and texting on mobile phone. Beautiful multicultural young casual female on mobile phone. 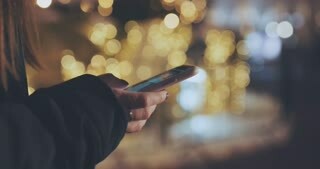 Portrait of young woman with smartphone crossing city street at night. 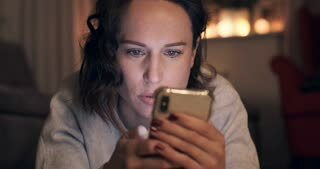 Woman using app on smartphone in the city at night, smiling and texting on mobile phone.